Religious liberty in Russia is about to disappear! In 1991, I had the honor to teach and proclaim my faith in Jesus Christ there in the former Soviet Union. After 50 years of official and brutal atheism, the Russia people were now free to listen to the truth without persecution or censorship from the government. I was invited to speak on a cruise on the Volga River to teach new private business owners and entrepreneurs about the free market and building a business. At the same time, I was able to share Christ. The Russian people were so hungry to hear the Good News. I brought them 200 copies of the book More Than a Carpenter and 200 Bibles—gone instantly by a people desperate for the Gospel. 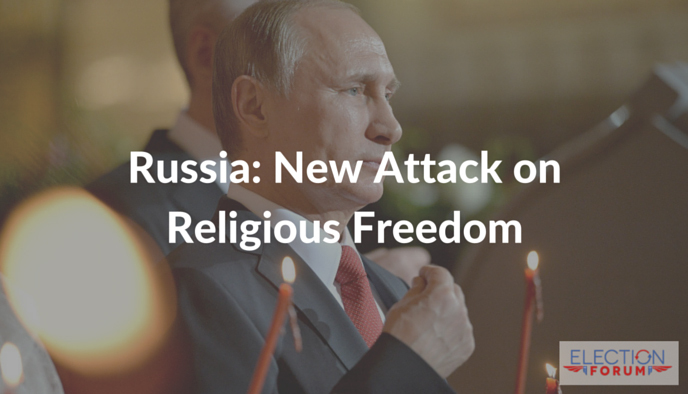 Twenty years later, the Russian government is discussing a harsh, anti-religious liberty bill which could shut down the preaching of the Gospel in Russia, just like under Soviet Rule. Two members of the Russian Duma just introduced a bill which would require that every Russian who wants to talk about his faith with others must get permission from the government before doing so. This bill would also limit private worship to people who share the same faith, with no non-believers present. How does the Russian government justify this? They claim that the bill is an anti-terrorism measure. 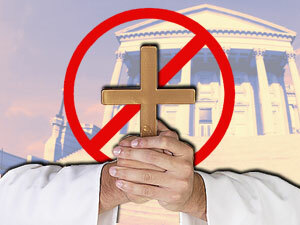 However, the bill is targeting all religious groups except for the Russian Orthodox Church, which is highly nationalist and very popular with voters and President Vladimir Putin. Pray for the Russian people, and pray that the Russia people will have religious liberty to preach and share the Gospel. So the Russian people get a slight, temporary taste of freedom and then the government wants to take it away again? Maybe Russia needs another “Revolution”. This time for democracy.